Last December the Star Wars community, and the World as a whole, was dealt a significant blow with the passing Carrie Fisher. 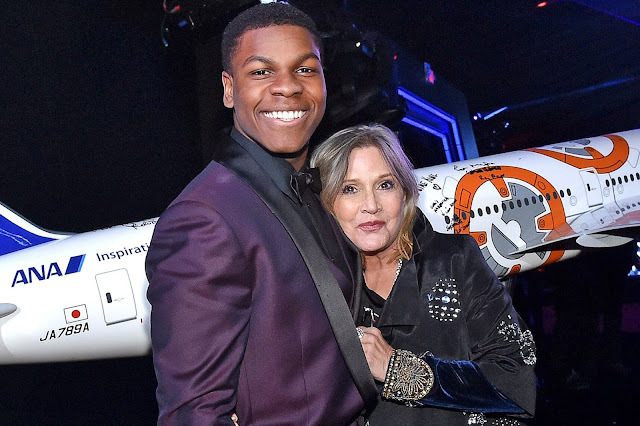 At the time of her death, the beloved actress and icon had already filmed her scenes for Star Wars: The Last Jedi, which means we will have the chance to see her one last time on the big screen. It has been confirmed that Fisher will not appear in Star Wars: Episode IX, which has left fans wondering how her final appearance as General Leia Organa will be handled in The Last Jedi. "This movie, it sends her off in a very amazing, amazing way. And she’s still kept alive in this franchise, and that's the beauty of it. She lives forever, in a sense." It's definitely going to be bittersweet experience seeing Star Wars: The Last Jedi for the first time when it opens in theaters on December 15th.